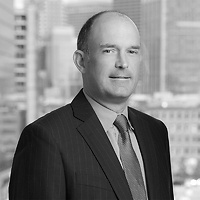 Patrick J. Concannon, a partner in Nutter’s Privacy and Data Security practice group, served as a contributing author on Data Security and Privacy in Massachusetts, which was recognized as among the Association for Continuing Legal Education’ s (ACLEA) best publications for 2016 as reported by Massachusetts Lawyers Weekly. ACLEA’s judges praised the publication for its comprehensive coverage as well as its substantive excellence. The publication provides expert insight into data security, compliance, breach prevention and the protection of privacy, which have come to dominate the practice of information governance in commercial and institutional settings. Pat’s chapter, “Congressional Response to the Internet,” highlights the legal issues in the areas of federal intellectual property, publishing, advertising and privacy laws—areas in which he practices and considers among those most impacted by today’s ever-evolving digital economy and social media landscape.